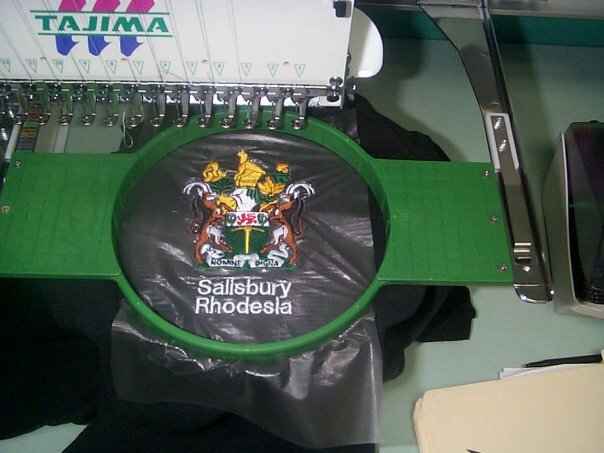 Welcome to Rhodesiawassuper "Lekkerwear" All the apparel is custom made to order, each emblem I have digitized into stitch file offering on a variety of apparel view the many emblems we offer from the sample of emblems tab above if you are looking for something "extra customized" many adding another emblem or text like a unit number or name on the arm send me a message from the contact link above. Its out 15th year online! Right now till April 22nd purchase a Green and white traditional rugby jersey and get a free hat, t-shirt or toque for free all for the special price of $99.95. You get to pick the emblem you want on the jersey and on the bonus item.